These last years, playing the mandolin has become a real passion. I practice faithfully every day; I search the Internet to find new scores; even if they are scarce, I try to read every book I find on the subject; I listen to the CDs of great mandolinists; I watch videos of performances; I prepare for my lessons like the most perfect nerd. And, of course, like every learner I constantly look for the ideal method, the one that would help me correct my weak spots, strengthen my fingers, increase my dexterity, gain speed, precision, richness of sound, technical perfection, in short, a method that would help me become a better musician. I already have Calace's method — the original, sometimes illegible edition and also the German edition with many transcription mistakes and, of course, text in German. I have Munier's: a must when you can find what you're looking for! I also have the method of Branzoli, Cottin ( part 1 and part 2), Denis, Fouchetti, Schick, Pettine, Odell, Marzuttini, Leone, Lalechère and many more. Sadly, I sometimes have the feeling that they all are the same. And let's be honest, they're frequently exactly the same. How many times do we see the same exercises from Mazas or Kreutzer? And how many Calace exercises are so common they become real mantras? 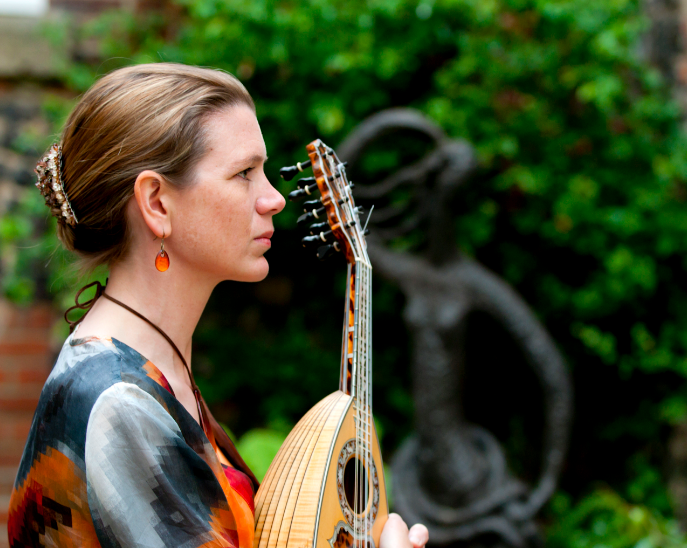 At last, I was lucky enough to discover a work radically different: The Mandolin Companion. The main part of the book was written by the great British mandolinist, composer and professor Alison Stephens. We could say that this book is a summary of her teaching. When she passed away in 2010, her student, the famous virtuoso Chris Acquavella, was asked to complete the work and prepare the manuscript for publication. There were a few chapters to complete and certain parts of the book to polish. Remembering his mentor's teachings, the student made his best to respect her musical legacy. The Mandolin Companion is not a tutor book. For instance, here's what the authors write in their chapter on the tremolo: " Since this book is in no way a tutor book, I am assuming that before you start this chapter you already have the ability to tremolo at least at a rudimentary level ". It's more a toolbox of tips in which the mandolin player picks here and there according to his needs. It's a collection of warm up exercises, of practical solutions to day to day problems, of daily scales to help mandolinists perfect their technique and overcome their difficulties. It's particularly interesting to note that this helpful publication is suited for mandolinists of all levels of competence. " The book is color coded through-out: Green meaning Beginner upwards; Blue is Intermediate and Red is Advanced ". Often the recommended speed is what fixes the level. Sometimes, the authors specify some prerequisites. But the cool part is that this book is a collection of exercises used by Alison Stephens herself in her teaching; all in all, it's the next best thing to learning with this exceptional musician that she was. As Chris Acquavella wrote in the epilogue: "When I first read through the unfinished book, I recognized the majority of exercises and etudes. She clearly had used myself and my fellow TCM (Trinity Laban Conservatoire of Music and Dance) graduates as her test subjects". With this tool, the musician, regardless of his level, owns enough material for many years of daily practice. Let's just consider the chapters on scales: we find the scales with 1, 2, 3 and 4 sharps, 1, 2, and 3 flats, the scale of C, all that in major and minor (natural, melodic, harmonic), on 1, 2 or 3 octaves, in all positions, with the corresponding arpeggios, also the chromatic scales, pentatonic scales, whole tone scales, scales in thirds, sixths and octaves. Rapidly I counted 89 different scales. To practice these scales, they propose 17 rhythmic patterns. So, if somebody tries to master only one scale a day, with a different rhythmic pattern everyday, it would take (89 X 17 X 16 X 15 X… X 2) days to go through the complete program! Probably a few years! A large part of the book is about scale and arpeggio patterns. Once these patterns are mastered, they can be applied to any scale or arpeggio of the circle of the fifths. This method of practicing scales helps the musician to play in more uncommon tonalities. We can also easily build warm up exercises to prepare a daily practice or before a public performance. The book has 77 pages and the 12 chapters present warm up exercises for both hands separately, natural and false harmonics, arpeggio techniques, double-stops and chords, positions, tremolo-staccato (duo-style) and many other subjects. Personally, it has become my reference for practicing technique. I really believe it will allow me to discard piles of not-so-effective photocopied exercises. The Mandolin Companion from Alison Stephens and Chris Acquavella is available at Astute Music Ltd in book or pdf. Jean studied piano in his childhood and was addicted to Chopin's concertos. He also studied serial composition, flute, organ and singing. During his career as a french and theater teacher in high school, he founded the Bateleur's theater company for which he has written, composed music, made costumes and builds sets for 17 years. Now retired from teaching, Jean devotes himself full time to his passion: the mandolin. Newer PostMandolin: Technique or not… zat is ze Question.